. إن Mt Tamborine Stonehaven Guest House حريص على توفير الراحة للنزلاء، فلا يوفر الموظفون جهداً في تقديم أفضل الخدمات وضمان حسن الاستقبال. يمكن للنزلاء الاستمتاع بالميزات التالية: واي فاي مجاني في جميع الغرف, مرافق مخصصة لذوي الاحتياجات الخاصة, تخزين الأمتعة, واي فاي في المناطق العامة, صف السيارات أثناء إقامتهم في هذا المكان الرائع. 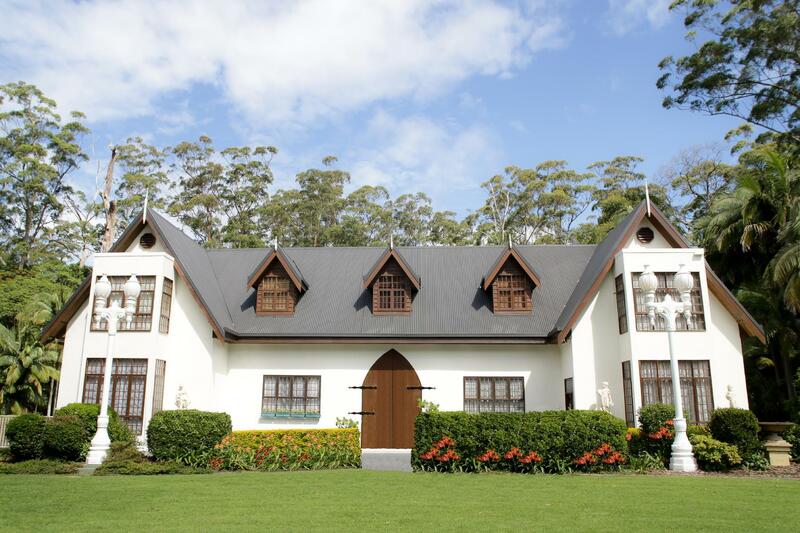 تنعكس أجواء Mt Tamborine Stonehaven Guest House في غرف الضيوف.تلفزيون بشاشة مسطحة, اتصال لاسلكي بشبكة الإنترنت (مجاني), حوض الاسترخاء, مكيف هواء, تدفئة هي بعض الميزات الموجود في العديد من الغرف. يمكنك طلب اللائحة الكاملة للخدمات في الفندق ومن بينها مسار جولف - ضمن 3 كم, حديقة. مهما كانت أسبابك لزيارة جولد كوست، فإن Mt Tamborine Stonehaven Guest House هو الخيار الأفضل لإقامة مثيرة وممتعة. العمر الأدنى المطلوب للتمكن من الإقامة في هذا العقار هو 15 سنة. We arrived and instantly wanted another night! Everything was just as i hoped and more! 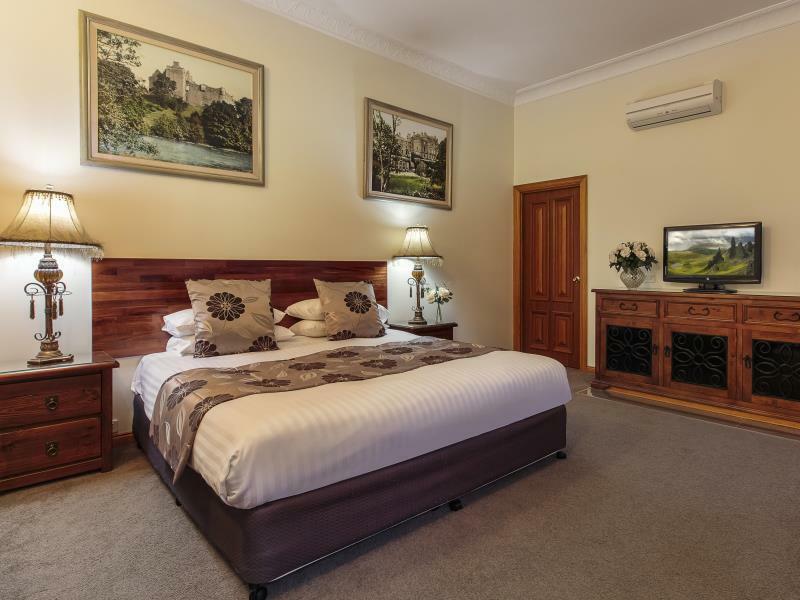 Perfect for a couples mini get away from Brisbane. There is no cooling in breakfast room or reception. Very steep stairs to get up to a room. Deathly atmosphere and definitely no hospitality from management. Hi there Julianne, thanks for taking the time to give us feedback. We’re known for our customer service, so I am sorry to hear of your experience. We note that you have not stayed at our hotel. I must admit I am especially dismayed, and somewhat confused, by your statement “about the atmosphere and hospitality” we understand that you were upset when you chose not to stay as we could not accommodate your large dog. You mentioned when you were leaving, that you will try and find accommodation elsewhere for your dog and we were expecting you to return. Our hotel does not accommodate pets and we are very sorry that your Stonehaven Manor experience was not what you expected. Have wanted to stay here for many years based on the street appeal, finally found an excuse and it lived up to our expectations. Quiet, clean, lots of personality, lovely hosts. Short walk to some excellent restaurants. Would stay again. I stayed whilst on an art workshop, found Stonehaven as it was close by restaurants and shops, great bed, nice high ceilings. Only downside is the room was upstairs with no lift, so fortunately my case was not too heavy. We arrived early, around 11 am and accepted that the room wasn't ready but we're not even invited in. However the spa bath was lovely. The guest house is very creepy, outdated, dark and gloomy. We bought 2 nights and we didn't even stay there as the pillows were dirty and yellow...the bed was very old and overall the room was small and not welcoming. We preferred to loose our money instead of staying for the nught. We apparently rented executive king that had nothing to do with the description. Really enjoyed the "Scottish" difference! Ideally located. Very welcoming, comfortable, cosy guest house. Great location. Thanks for having us! Lovely surrounds with lush gardens to wander around but a long walk into township for food/drink in the dark. Took us 30 mins to get there. Alan and Tanya drive us to cheese factory which was appreciated.